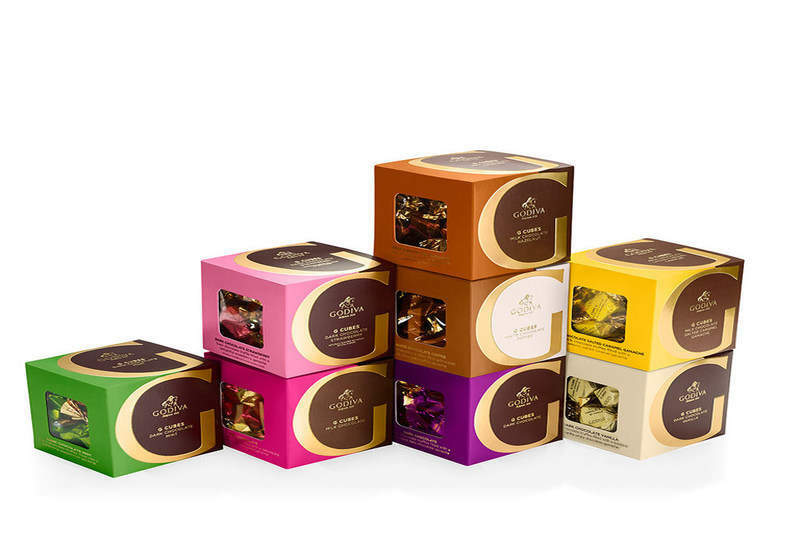 GODIVA’s G Cubes collection features a display of new flavours, colourful packaging and cubed chocolates. Credit: GODIVA Chocolatier. Artisanal chocolate maker GODIVA Chocolatier has launched its new G Cubes Collection, featuring the brand’s individually wrapped chocolate truffles. The G Cubes collection features a display of new flavours, colourful packaging and cubed chocolates, creating a modern indulgent treat for chocolate lovers. GODIVA noted that its chefs have created ten chocolates using a combination of new and signature flavours. The chocolate collection includes white chocolate coffee and a selection of milk chocolate flavours, including plain, matcha, hazelnut, salted caramel ganache. There are also dark chocolate varieties such as plain, strawberry, mint, and vanilla. GODIVA executive chef chocolatier chef Thierry Muret said: “Our GODIVA Chefs and Chocolatiers wanted to create a sensory experience that was modern and fun, but still followed the traditional Belgian savoir-faire. The G Cubes Collection is currently available in the US stores as well as on the company’s website in boxes of ten for $4.95. Boxes with 22 pieces are also available and will carry a price tag of $11.95. The milk chocolate matcha flavour is also exclusively available in bulk $45 per pound. GODIVA chocolates are currently available in more than 100 countries with distribution in nearly 800 boutiques, global travel retail, department and speciality stores, and online. The company’s product range includes truffles, shell-moulded chocolate pieces, European-style biscuits, individually wrapped chocolates, gourmet coffees, hot cocoa, Chocolate Soft Serve, and other indulgences.